Home > Respiratory Supplements > What is Astragalus Used For? Not to be confused with the humble asparagus plant, astragalus has been an important part of Chinese medicine for many centuries. This herb with a very hairy stem is used as a nutritional supplement the world over, although it is native to parts of China, Korea and Mongolia. Its primary use is to strengthen the body against disease, and it works mainly by stimulating parts of the body's immune system to work better. The medicinal bit of the astragalus plant is the root, and it has been known to help strengthen the immune system, stop colds and lower blood pressure. It has also been shown to have positive effects in treating diabetes and protecting the liver against disease, probably because as a nutritional supplement it is rich in antioxidants. In the United States, research is underway to see if astragalus can protect people whose immune systems are impaired, such as those undergoing chemotherapy (there is no evidence it can help cure or prevent cancer, although some claims have been made). In China, investigations are being carried out to see if this hardy plant can work on healing people with heart disease. It is also used there quite commonly to treat people with chronic hepatitis. There are currently studies underway to see if this herb could be beneficial in treating people with HIV or AIDS, but so far no conclusive evidence has been found. The root is dried then made into teas and tinctures, although it can also be sliced and sold in pieces or in powder form as nutritional supplements. In some countries astragalus is added to soups, stews or honey. It can also be combined with other herbal supplements, such as ginseng, licorice and angelica, to enhance their healing properties. Low doses seem to produce little or no side effects, although higher doses are not recommended. Common side effects include tummy upset, bloating and lowered blood pressure. People who are on blood-thinning medications should consult their doctor first, as well as those taking medication to suppress their immune systems. People with diabetes or hypoglycaemia should be careful as astragalus can affect their blood sugar levels. As with all nutritional supplements, astragalus can interact with other herbal remedies and even prescribed medications, so consult your doctor before use. In limited tests, astragalus has been shown to reduce symptoms of fatigue in athletes. Other tests on rats show that this supplement can help reduce indicators of senility. 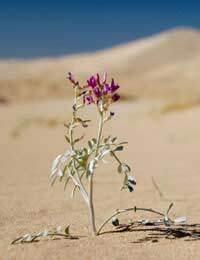 The astragalus plant belongs to the pea family.